We finally got to Onefold for the first time in Denver’s City Park West neighborhood, and we are so glad we did. The breakfast/brunch/lunch restaurant is a small hole in the wall on 18th Avenue with nice ambiance and a delicious menu. It’s a great little spot to meet for a bite to eat! We went for breakfast, and it was a tough decision on what to choose–everything looked Good. 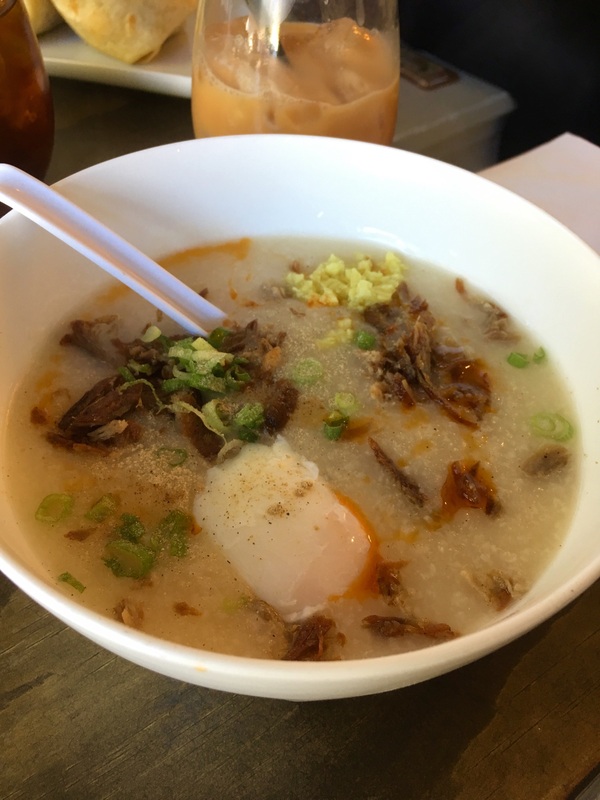 Coming off of having a cold, I settled on the congee, a savory rice porridge cooked in chicken stock, duck confit, poached egg, green onions, soy sauce, salted ginger and chili oil. It was delicious–and just what the doctor ordered. My teammate Tom had the breakfast burrito, which featured a handmade flour tortilla, choice of tender belly bacon or house made breakfast sausage, green chili, eggs, duck fat fried potatoes, and asadero cheese (and is available plain or smothered). In a city where breakfast burritos are plentiful, Tom said it was among the best he’s ever had. Other breakfast options include bacon fried rice (two duck fat fried eggs, Tender Belly bacon, garlic, green onions, soy sauce, and chili oil), breakfast tacos, crepes, frittata, and the simple breakfast (two slices of Tender Belly bacon or house made maple sausage, duck fat fried potatoes or sweet potatoes, and two duck fat fried eggs). The lunch options also had us drooling: options include chicken enchiladas de mole, duck fried rice, chicken adobo, and carne asada. 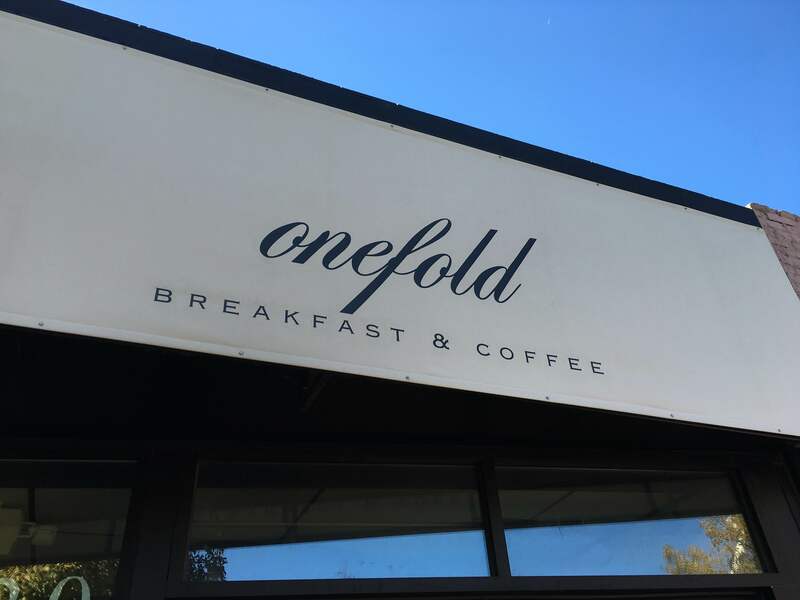 I’m very much looking forward to getting back to Onefold soon for another delicious breakfast!